There's always a car2go near you. The app shows you a live dynamic map of where all our cars are in your Home Area. Rent, reserve, set a radar – all you need is the app. See a car2go on your street? Reserve it for 20 minutes or start a trip on the spot. You can also set a radar with a preferred time and location and we'll alert you when a car becomes available. You can park on any legal on-street public parking for free. But in case you're looking for parking, you can use the app to find specially reserved car2go carparks and garages all over the city. Use the app to locate approved gas stations near you in case your car is running out of fuel. It's for free and you'll even receive a little something for refueling each car that's low on fuel. Terms apply. Within the Home Area, you’re home free. Think of it as our operative area, in which our vehicles free-float around the city. Grab a car off the streets, park it back when you’re done. Legal street parking in the Home Area is always for free. You can temporarily leave the Home Area during your trip or make a stopover. You can park for free on public street parking inside the Home Area. You must start and end your trip inside the same Home Area. Need more flexibility? You can end your trip in drop off zones for a fee. Carsharing with us offers you ultimate parking freedom. You can always park your car inside the Home Area. Just make sure it’s a public parking spot. The best part? It costs you nothing. Drop off zones are marked as Zone B on the Home Area map. For a drop off fee, you can leave your car in these zones. I’ll be quick! Keep the same car without giving it up – just park without ending the trip. Stopovers are perfect for stopping inside a shopping mall’s private park garage or for picking up your kid at school. As long as the trip is still running, the minute rate will apply. If you park in a private parking garage, you pay for the fee yourself. You can make a stopover outside the Home Area. Parking position reached – you can now reserve your car2go so that you won’t have to carry your suitcase. Remember: for our carsharing to the airport and from the airport, we charge an extra fee of 5,90 € (charged if a rental starts and ends in the airport zone). Airport shuttle? With Lufthansa Express, you have many more benefits. Check out our information page. With car2go to the airport From the B433 take the exit Flughafen/Terminals. Follow towards Departure/Parkplatz P2-4. Take the left lane to the P2-4 entrance drive to the upper deck in area B. Your way to car2go after arrival Coming from Terminal 1/2 follow the signs to P2-4. Your car2gos will be waiting for you on the upper deck in area B. The gate will open automatically when entering or leaving. 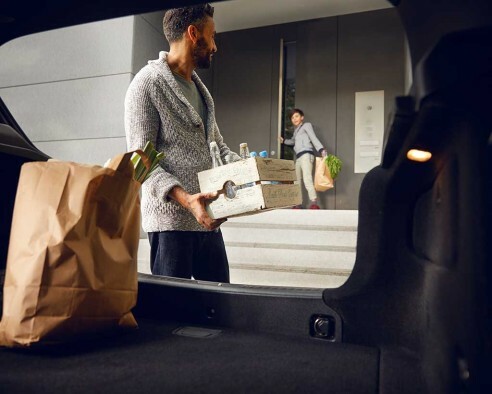 Just get in and go – thanks to the official car2go app you can easily find, reserve and open our vehicles comfortably. Your whole rental process will be directly operated via the car2go app.